cuts accumulator case parts from sheet celluloid, using knife and straight edge; sometimes also does work of accumulator case cementer (619) q.v. makes ornamental fittings of ivory, tortoiseshell, etc., for use in finishing ladies' hand bags by cutting out sketched design, on ivory, etc., blank, with hand fret saw, or sometimes, by means of treadle saw. (ii) attends and feeds a machine in which celluloid is blown into spherical die in a semi-liquid state, and dried by heat. drills holes in handles of bone brushes, ready for insertion of bristles, using power drill. finishes off rough bone tooth brush shapes to required size, with hand file; is usually engaged on special orders; cf. profiler (619). roughly fashions lengths of bone, by means of hand plane, into flat brush shapes. a hone cutter q.v. who cuts rough pieces of bone on a circular saw to length required for toothbrush making. files hone hafts or handles, scrapes or shaves them to shape and fixes them to blades. see bone brush fashioner; cf. handle cutter (613). cuts bone into grooves, or "jumps," in imitation of stag or buck horn; generally uses a small circular saw or rasp. general term for any worker engaged in cutting, turning, polishing, etc., bone articles. cuts designs in fancy combs and slides, of celluloid, erinoid, &c.., by drilling holes with an electric hand drill, for reception of ornamental pieces of glass, stone, etc. finishes corners and edges of rough brush with a file by hand. general term for any worker engaged in cutting, sawing, staining, pressing, &c., horn (other than stag horn); includes horn cutter, horn opener, etc. rounds-off teeth of combs and their bases, removing burrs and other irregularities with a "grele" or file; cf. burrgrailer (machine) (619). scrapes surface of sheet celluloid and of wooden base of piano or organ keyboard with an iron toothing tool; glues celluloid on to keyboard by hand, and presses in hand press; cf. ivory layer. general term for any worker engaged in cutting, grinding, polishing, &c., combs or horn, bone, ivory, tortoiseshell; includes sway knife cutter, setter, comb dollier (619) comb fluter (619), comb grinder (619), comb circle cutter (619), polisher (619) q.v. has charge of a set of presses in which erinoid dough or articles made of erinoid are cooled under pressure to prevent warping ; inserts dough or articles in press, which he operates, and removes them when cooled. removes joint knuckles and cuts animal bones (usually shin bones) into desired shapes, e.g. blanks for tooth brushes, on a power-driven band or circular saw, ready for fashioner. a bone cutter q.v. who cross-cuts out bone discs on a power-driven band or circular saw ready for bone disc turner (612) q.v. cutter (celluloid collars, etc. ); places sheets of celluloid in guillotine by hand and, by pulling lever, cuts out shapes of collars and cuffs; cf. collar cutter (rubber) (608). cuts horn with a hand saw, or on circular saw into sizes suitable for making into required articles; may also finish articles, e.g. cutlery handles, cf. handle cutter (613); sometimes specifically designated, e.g. buck horn cutter, buffalo horn cutter, stag horn cutter. cuts ivory tusks into slabs on a circular saw; cf. handle cutter (613). cuts block ivory into thin strips on a circular saw, and bleaches strips, when necessary; cf. bleacher (619). (ii) pearl splitter, pearl worker; cuts or splits oyster pearl, and dresses it into suitable form for stringing; work seldom performed in this country. see cutter, pearl, or cutter, tortoiseshell. cuts horn (other than stag horn) sections longitudinally, with a hand sway knife, into sizes suitable for scale pressing, or for door plates, combs, &c.
cuts tortoiseshell into required shapes and sizes with a fret saw or with a circular saw. cuts vegetable ivory into required sizes and shapes with a hand saw or with circular saw. cuts softened whalebone into lengths of required thickness with spokeshave or circular saw; usually does work of whalebone sorter (619) q.v. cuts articles of xylonite to shape with a knife, or with a press and guillotine. see bone brush fashioner or brush fashioner (celluloid). puts celluloid dough in filter press and controls press by means of levers to squeeze out dirt and foreign matter. (iii) trims bristles on a trimming machine. (iij carves flutings, or other grooved ornamentations, by hand or on a lathe, on handles of table carvers, fruit knives, &c., made of ivory, bone, etc. ; may also polish them on buffs or dollies, see handle polisher (619); sometimes specially named according to material worked, e.g. ivory fluter. cuts up into required sizes, sheets of celluloid, mica, erinoid,, &c., with an ordinary printer's guillotine, operated by hand. draws by hand fine strips of whalebone repeatedly through a hackle, a type of comb, to sort them into lengths for brush-making. opens a section of horn by cutting it longitudinally with saw, warms it in stove and flattens it out for comb making in a press. general term for any worker engaged in cutting, pressing, turning, polishing, etc., horn articles; includes horn cutter, horn opener, presser (613), horn turner (612), horn polisher (619) q.v. (ii) see ivory carver and ivory engraver. bleaches ivory by soaking tusks of ivory in hydrogen peroxide; is usually also an ivory turner (612) q.v. carves ivory articles, with hand or machine tools e.g. handles, fittings to bags, bottles, etc., chessmen. engraves designs or carves in relief, with delicate hand tools upon ivory. (piano keys); skivers edges of ivory with a plane where joint is made between head and tail of ivory keys; fits and glues pieces of ivory (cut in shape of piano keys) on to a board which is then passed on to ivory piano key cutter q.v. sorts out, matches for colour, and marks for cutting, ivory tusks, before manufacture; sorts slabs, handle blanks, piano key scales for colour marking, etc. see cutter, ivory piano key. scrapes ivory keys with a plane and scraper; cleans them with fine glass paper, and polishes them with methylated spirits and whiting. takes rough edges off corners of ivory key pieces with a file, and polishes edges of ivory with a piece of felt, before key pieces are glued on to keyboard. saws ivory into required sizes with a hand saw or power-driven band saw. glues piece of ivory, called a slip, on to front of board, from which keys are cut; is usually an ivory layer, q.v. general term for any worker engaged in cutting, sawing, turning, etc., ivory articles; often works interchangeably, e.g., cuts, turns, bleaches and polishes billiard balls, and cuts knife handles from blocks of ivory; includes ivory turner (612), ivory handle cutter (613), ivory cutter, ivory bleacher, ivory carver, ivory engraver, ivory layer, ivory matcher, ivory polisher, ivory rounder, ivory sawyer, ivory slipper q.v. examines finished keys, before they leave factory, to see if they are up to standard quality; wipes keys and sandpapers out scratches; returns faulty keys to workshop concerned; sometimes specially named if specialising in ivory or celluloid, e.g., celluloid looker-over, ivory looker-over. general term for any worker operating a rolling, slicing, extruding, etc., machine; see roller, sheer, tube shop man. places cotton base on celluloid shape, cut by cutter q.v., applies adhesive, turns over edges of celluloid and places in press to stick down turned edges. (ii) feeds a mixing and crushing machine with mica and binding composition, which is pressed while hot, into sheets; operates levers to start, and stop machine. cuts micanite sheets into squares, on circular saw or hand guillotine, and reduces them to washers by turning them on lathe. general term for any worker engaged in making micanite articles by cutting, shaping, pressing, turning, etc. general term for any worker engaged in cutting, grinding, polishing or finishing-off mother of pearl articles, e.g. pearl carver, pearl cutter, pearl grinder, pearl polisher (619) q.v. cuts, grinds and polishes pieces of mother of pearl, by holding against mechanically driven saw, grinding wheel and buff, respectively, and cements pieces together in a framework of metal, wood or other material. shapes mother of pearl buttons by cutting, turning and grinding button blanks in lathe to form holes and recesses; holds tools against revolving blank, applies abrasive or polishing composition, starts and stops lathe by means of hand levers. as for pearl box maker. marks, by hand, designs, flutes, etc., on mother of pearl and carves, by hand, with special tool. guides mother of pearl articles on revolving carborundum wheels or steel cutters of varying pattern, either by dry method, or by using water as a dust allayer and cooling agent. dyes mother of pearl, and articles made therefrom; first prepares pearl by immersing it in solution of ammonia and silver nitrate for about eighteen hours; then thoroughly washes it in running cold water to rid surface of ammonia and nitrate; finally, immerses pearl in vat containing dye, not necessarily aniline. ornaments mother of pearl articles by fluting; as for handle fluter. grinds mother of pearl articles, after they have been cut to pattern, by pressing them against mechanically driven carborundum wheels or natural sandstone, generally using water for cooling and dust allaying; operates lever to start or stop grinding wheel. bores mother of pearl handles or scales, for cutlery and other articles, under a power drill, in readiness for fixing of blades, etc. holds shell against revolving blade of power-driven machine and shaves off brown back in very small particles until back is a white and even surface. see mother of pearl worker, or cutter, pearl. see ivory polisher (piano keys). attends and feeds machine in which erinoid dough is forced through a die to make rods or tubes. passes celluloid dough through steel rolls (hot or cold) to make it homogeneous, producing sheets or thin blocks; also "figurates" xylonite, if required, by rolling together sheets or masses of different colours to produce patterns resembling ivory, agate, tortoiseshell, onyx, etc. cuts strips of whalebone to length by pressing them against mechanically-driven band saw; operates machine saw by means of hand lever. (ii) sets up or straightens bent or mis-shapen teeth in combs. 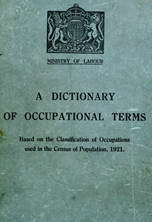 general term for any operative engaged in cutting, carving, or grinding mother of pearl or tortoiseshell articles, e.g. tortoiseshell presser, pearl grinder, q.v. dissolves nitro-cellulose or scrap xylonite (celluloid) with a solvent to make varnishes, enamels, or coatings used for cover ng croquet balls, etc. joins together two pieces of bone, by sawing or skiving ends splicewise and sticking them together with a cement solution. general terms sometimes applied to workers employed interchangeably on different processes of tooth brush making, e.g., cutter (bone brush making), bone brush propper, bone brush fashioner, bone brush planer, bone brush driller, finisher, q.v. assembles component parts of tortoisehell articles, e.g., boxes, cigarette cases, and fixes hinges, locks, handles, etc., and mounts monograms, etc., by hand, using pins and screws. heats the natural tortoiseshell in hot salt water and wraps it in wet rags; places it between hot iron tongs or moulds, and presses it into sheets or into required shapes by means of dies; if it is to be used in making articles of thick tortoiseshell, cements several layers together with a transparent adhesive before pressing. general term for worker engaged in any process of making tortoiseshell articles, e.g., tortoiseshell assembler, tortoiseshell presser, polisher (tortoiseshell) (619) q.v. operates and controls a machine which draws out, smooths and shapes tubular lengths of bone, horn, celluloid, and similar materials; rounds-off and points crochet hooks, shoe horns, knitting needles, and other articles of bone. operates tube and rod extruding machines, which squeeze and extrude xylonite, etc., through dies, forming rods or tubes, used for making cycle pumps, handle bars, etc. ; sets, dies and controls and regulates machine by means of screws and levers. makes, by turning out of bone, wood or ivory or by moulding from casein, ornamental tips for ribs of umbrellas, parasols, etc. engraves or carves designs, images, etc., in vegetable ivory with delicate hand tools. sorts, for size and colour, whalebone according to purposes for which it is to be used, cf. cutter (whalebone). splits cut whalebone to required thickness, by passing it under rollers feeding knives of splitting machine; operates starting and stopping levers and fits cutting knives. general term for any worker engaged in preparation and dressing of whalebone; includes whalebone cutter, sawyer, whalebone sorter, whalebone splitter, whalebone finisher (619), cleaner (619). (ii) general term for any worker engaged in stamping, cutting, profiling, scouring, polishing, etc., xylonite in manufacture of combs therefrom; includes comb cutter, comb polisher, cropper, sander (619) q.v. general term for any person engaged in making articles from xylonite.